Socialbakers Analytics Report Predicts a France Versus England Final? 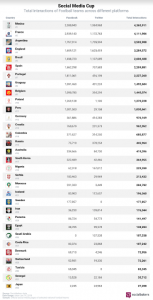 With Belgium and Croatia lagging far behind, could this mean we have our World Cup finalists written in the social media stats? FIFA World Cup 2018 — the most watched live sports event on the planet is down to the semi-finalists fighting it out. With three matches to go to decide the World Champions in Russia, social media is bursting with excitements and fan-fights. With the top contenders out, it’s mostly left to choosing a team that has the most recent experience of winning the Cup- France. Based on social media interactions, according to Socialbakers, France are hot favorites to win the FIFA World Cup for the second time in twenty years. 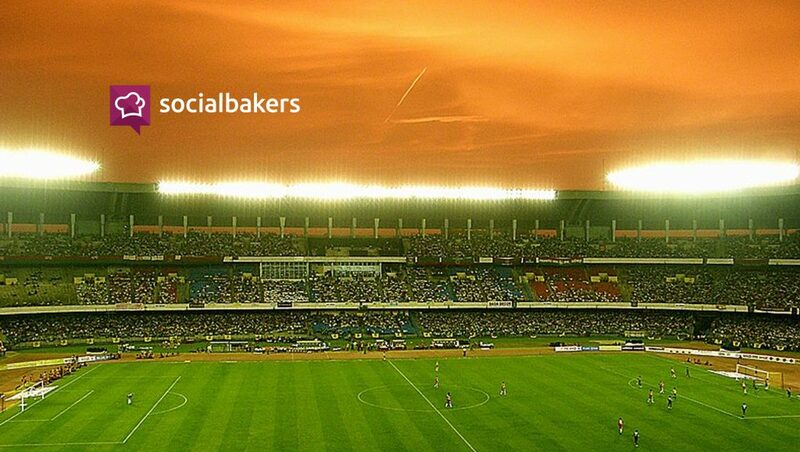 Socialbakers has recently released the report titled “2018 Social Media World Cup“. In an hour’s time, Belgium would be contesting against Les Bleus to enter their maiden Final. Yet, we haven’t taken our eyes off what’s happening in Martech and FIFA- related analytics. Based on social media interactions, according to Socialbakers, France is going to win it for the second time in twenty years. Here’s a quick snapshot of what transpired from social media analytics. 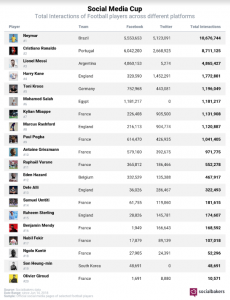 Among the semi-finalists, France is still on top with over 4 million interactions, followed by the English team. Though England is nipping at their heels, having racked up 1.2 million interactions since their last win in the quarter-finals, they have a tougher fight against the ’98 semi-finalists, Croatia. England players also had a strong weekend on social, with Harry Kane bumping Toni Kroos to take 4th place by doubling his overall interactions in just 5 days. And Dele Alli didn’t only score on the pitch but also on social media, jumping three places to 13th with almost 250,000 interactions over the weekend.